Win a VIP package to the exclusive St. Vincent Resort and Casino! Leo Vegas are running a 2 stage promotion between the 1st September and the 29th September 2016. This promotion is only available to players in Sweden, Finland, Norway, Germany, Austria, Slovakia, Czech Republic, Netherlands. A weekend of Luxury, Entertainment and Gaming. 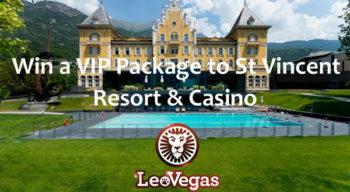 Exclusive Dinners, bespoke Casino Gaming, Chambre Separee at Saint Vincent for VIP’s, a helicopter tour of the Aosta Valley and Mont Blanc for a James Bond style experience. 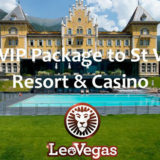 All inclusive hotel, 5 Star rooms, all meals as well as SPA Access and treatments. The package has to be taken between the 21st and 23rd October 2016. Cannot be exchanged for an alternative prize. 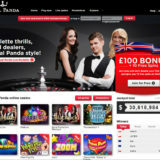 10 game rounds played on any live table – 1 point. 10 game rounds on any St Vincent table – 3 points. The top two places will win the VIP trip. 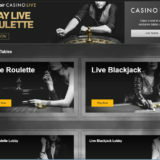 €10 played on any live table – 1 point. 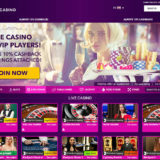 €10 played on any St Vincent table – 3 points. The runners up (up to 10th Place) in each leader board will win a cash prize. Any players that have played €100 or more during September will be entered into a draw which will take place on the 30th September. The lucky winner will also win a place on the VIP Trip.